The CKC, which stands for Continental Kennel Club, is a canine registration service that has been in operation since 1991. CKC is one of the largest canine registration services in the world and offers its members the opportunity to register their dogs and litters of dogs, educate themselves about various breeds and enter into canine competitions. CKC stores information about dogs’ lineage and breeding heritage online once it is entered by breeders and owners. Ask the breeder or kennel from which you purchased your dog whether or not the litter your dog is from is registered with the CKC. Ask the breeder to give you the CKC numbers for your dog’s sire and dam (father and mother). Contact the CKC at 800-952-3376, and verify the numbers the breeder gave you. 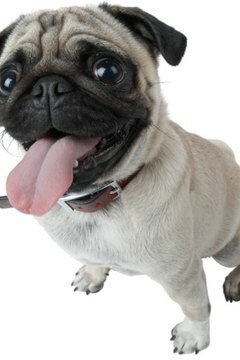 Complete an online or print dog registration application form with the CKC to register your dog with the organization. Submit the canine registration application form electronically or print it, fill it out and mail it to the CKC. If your breeder does not have your dog’s parents or litter registered with the CKC and you still want to register your dog with the CKC, print off a Pedigree Information Form from the CKC’s website and take it to your breeder to complete. Fill out the owner’s section yourself. Mail the form to the CKC and wait to receive a “Records Check” document from the CKC for your dog. Complete and submit a canine registration application for your dog along with the Pedigree Information Form.